New Zealand is well known as one of the most beautiful and cleanest countries in the world and tends to “sell itself” to intending migrants. With a land area larger than the UK and a population of only 4.5 million, a vast range of outdoor activities and experiences are open to all. It’s also a great place for children, with its world-class free education system and an open and free environment that is the envy of those parents raising children in densely populated and polluted cities across the world. These lifestyle advantages, a transparent, well managed economy and significant labour shortages have attracted migrants from around the world with new arrivals now at record levels. The annual net migration gain reached a record 72,000 in 2017. David is a former Consular Official of the NZ Ministry of Foreign Affairs and Trade (postings to NZ Embassies/Consulates in Papua New Guinea, Republic of Korea, Germany and Perth Australia) and is a past director of the NZ Association for Migration and Investment. David is a New Zealander and is the most experienced, fully licenced New Zealand Immigration Adviser resident in the UK (London and Shrewsbury). 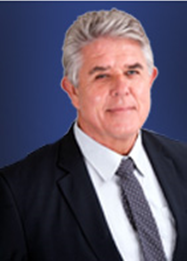 He has some 31 years of experience assisting new migrants with visas and settlement in NZ in addition to his earlier NZ Government experience. He has undertaken international recruitment and/or visa projects for some of the largest companies in Australia and New Zealand. David’s experience of all three countries and residence in the UK, makes it possible for him to undertake initial assessments on behalf of our Australian and Canadian experts also. Perdaman Global Services is therefore able to offer a credible “one stop migration shop” for UK and European enquirers. We are delighted to have substantial orders from one of NZ’S largest and most trusted Labour Hire Firms with branches in all the major centres. The employer is licensed by the NZ Government to hire staff that are engaged on a temporary basis by employers throughout NZ. There are no fees to applicants and engaging with the employer (interviews/reference checks etc) before you leave home can save a great deal of time and help you plan your stay throughout NZ. If you are under 31, are a citizen of one of the countries listed above and have relevant skills send your CV to our UK representative David.Mason@perdaman-gs.com.au or give him a call on +44 (0) 7909 50 1899 to discuss. There are no professional fees of any kind. If you would like us to obtain the Working Holiday Visa for you, we can do so for a nominal fee. It is a simple on-line process for most applicants and you are most welcome to apply on your own. How about NZ Government Fees? NZ Government fees are approximately NZ$200. The applications are lodged on-line and official process time is currently 21 days. We find most applications are decided within 7 days. Normally you can work for 12 months on a Working Holiday Visa. Can I extend the visa so I can work longer? You cannot extend a Working Holiday visa but if you are offered long term or permanent employment you might, repeat, might be eligible for a normal Work Visa for three years or more. This will depend on your skills and whether New Zealanders are available to take the role. Extensions are extremely likely (and future residence is possible subject to conditions) if you have the skills to apply for the specific vacancies listed below. What are our current vacancies? Given NZ’s current labour shortages, if you are prepared to work hard in manual roles, our employer may be able to assist you in a range of unskilled positions. For those with qualifications or experience in the following areas, there are a very substantial number of vacancies and your application would be most welcome. 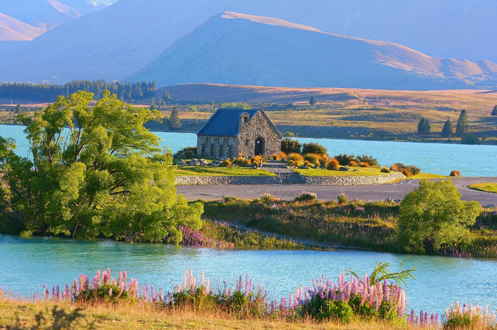 If successful, we suggest you trial the role (and New Zealand) on the Working Holiday Visa and, if things go well, you apply for a long-term visa. Fitters and Turners Must be CNC Operators who can also program and have experience of FANUC controls. Diesel Mechanics Applicants must have both Heavy Plant AND Truck experience. Welders Must have MIG experience and preferably TIG. Must also have Manual Arc welding experience and either Stainless Steel or Aluminium experience. Scaffolders Must have Advanced ticket. Just want to thank you again for everything you have done for me and my family. We are eventually on our way to start our new lives. We fly to NZ on Sunday. We’re all very nervous and excited all at the same time. Well, there is no going back from here on, it’s all or nothing. Thank you from the bottom of our hearts. God bless you. Adrian, Yolandé & baby Charlise Whitehead. My family and I were assisted by David Mason Immigration to obtain our work visas for New Zealand. The advice, assistance as well as the knowledge offered by Mr Mason proved to be invaluable multiple times throughout the entire process. I personally struggled with credible agents to assist us with this process previously and will, therefore, personally and highly recommend David Mason’s services. You are welcome to mail me any questions you might have in this regard. I have no hesitation in recommending you to anyone concerned or interested in moving to NZ, your passage for me and my wife has been smooth and with the exception of delay’s within government depts which is out your control anyway, all questions and answers we had were dealt with by you and your staff with utmost urgency, and now over in NZ, your aftercare service is still in place as and when I require it. I am now settled and looking forward to my new life in NZ, all thanks to David Mason and his staff both in UK and NZ. I would like to thank you immensely for all of your help relating to our relocation to New Zealand. Your effort and support were invaluable, the process, although complex was made far easier with your assistance. Thank you for being on call 24hrs a day wherever you happened to be in the world. 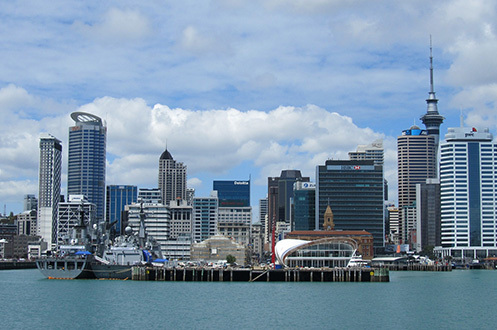 We would not hesitate to recommend your services to anyone relocating to New Zealand. Do I qualify for New-Zealand, Australia and Canada? Can I afford to migrate? Can I earn enough to support my family?